Sonam Kapoor has worn some beautiful outfits in her movie Dolly ki Doli. Some of the readers have been wanting to know which designers are her outfits from. This red and gold sari is from Ritu Kumar and we really like it. 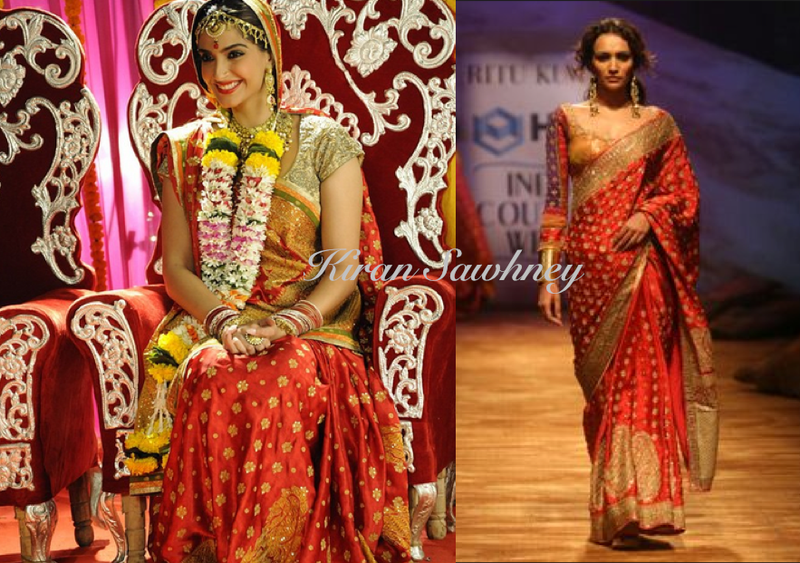 Which blouse version do you like better- the runway version or Sonam's movie version?